This course, organized by members of the ERN GENTURIS, aims at delivering up-to-date knowledge on hereditary cancers to clinical and molecular geneticists in training or certified. 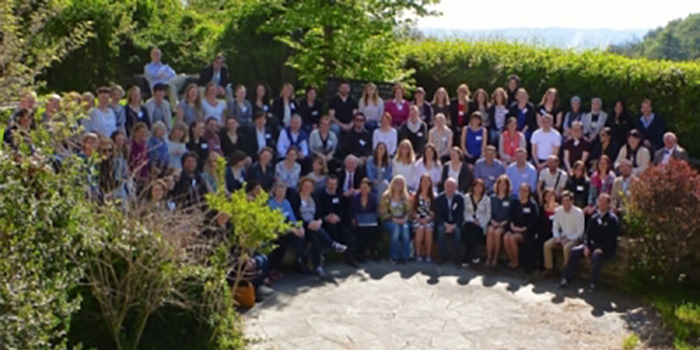 It creates the best opportunity for interaction and discussion with experts from all over Europe, in the fabulous environment of Bertinoro, the headquarters of the ESHG sponsored courses. The faculty combines experts from many fields of cancer genetics known for their didactic skills. Participants are encouraged to present a clinical or genetic case in a Poster format for on-site discussion. Prizes will be awarded for best presentations. You’ll be staying in a double room (to be shared with another participant) at the Course Venue or in nearby hotels. When booking online please specify in the “Note” field the name of your roommate. Otherwise the organization will arrange the combination. In order to apply to the course, fill in the online registration form by March 20, 2018. You can access the form by clicking on the “book online” button located at the bottom of this page. The Registration fee (€ 750,00) includes tuition, course material, accommodation in double room for three nights (*from April 24 to April 27*), lunches, coffee breaks, dinners and transportation from Bologna airport to Bertinoro in the late morning of April 24th and back in the afternoon of April 27th. Deadline for sending fellowship applications: February 1st, 2018. You’ll receive a notification of acceptance (or non-acceptance) by February 20th. – in the “NOTE” field: please specify the name of your roommate. Otherwise the organization will arrange the combination. – If your arrival/departure schedule is different from the available options, please contact: jbazzoli@ceub.it. – If you travel with a companion who is not attending the course, please contact jbazzoli@ceub.it.